A Teddy bear "Friends" issue with pieces from birds to unicorns. Felted kittens and so much more. Amazing artist profiles including Toby Award winners. 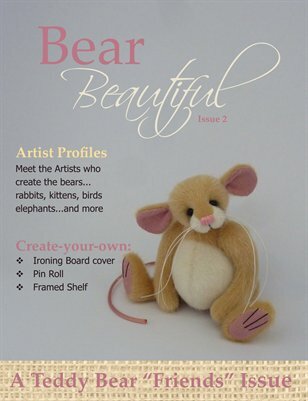 Bear Beautiful is for sophisticated, bear makers, artists and collectors who are passionate about quality. Showcasing only the very best our industry has to offer.